John Cena tried to put up a tough guy persona, but something about this POP! 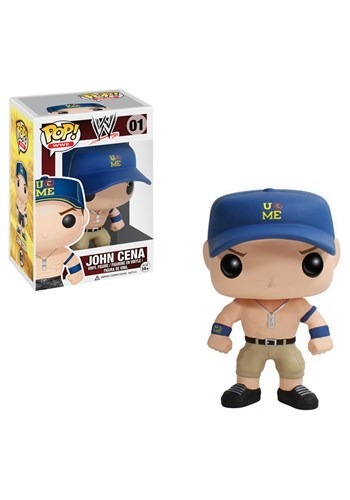 vinyl wrestler version of the guy makes us feel like he's lost his battle with cuteness. Just don't call this figure cute to its face! The little figure is ripped and he's itching for a fight. We suggest you set him up at your desk and don't give him any back-talk, or you might just be in for a bruising... but the cutest least awful bruising you could ever imagine.